Horace Collins, Private. Ox & Bucks LI 5th BN. Son of William and Emily Collins, of 13, St. Aldates St., Oxford. Aged 19. Harry Douglas Woodley, Private, Queen’s (Royal West Surrey Regt). Brother of Mrs. Elsie Stopps, of 3, Malthouse Cottages, The Vineyard, Abingdon, Berks. Aged 21. Both men are commemorated on the Menin Gate. On 1 July 1916, supported by a French attack to the south, thirteen divisions of Commonwealth forces launched an offensive on a line from north of Gommecourt to Maricourt. Despite a preliminary bombardment lasting seven days, the German defences were barely touched and the attack met unexpectedly fierce resistance. Losses were catastrophic and with only minimal advances on the southern flank, the initial attack was a failure. In the following weeks, huge resources of manpower and equipment were deployed in an attempt to exploit the modest successes of the first day. However, the German Army resisted tenaciously and repeated attacks and counter attacks meant a major battle for every village, copse and farmhouse gained. At the end of September, Thiépval was finally captured. The village had been an original objective of 1 July. Attacks north and east continued throughout October and into November in increasingly difficult weather conditions. The Battle of the Somme finally ended on 18 November with the onset of winter. The Thiépval Memorial, the Memorial to the Missing of the Somme, bears the names of more than 72,000 officers and men of the United Kingdom and South African forces who died in the Somme sector before 20 March 1918 and have no known grave. Over 90% of those commemorated died between July and November 1916. Edward Henry Freeman, Private, Ox & Bucks LI, 7th BN. 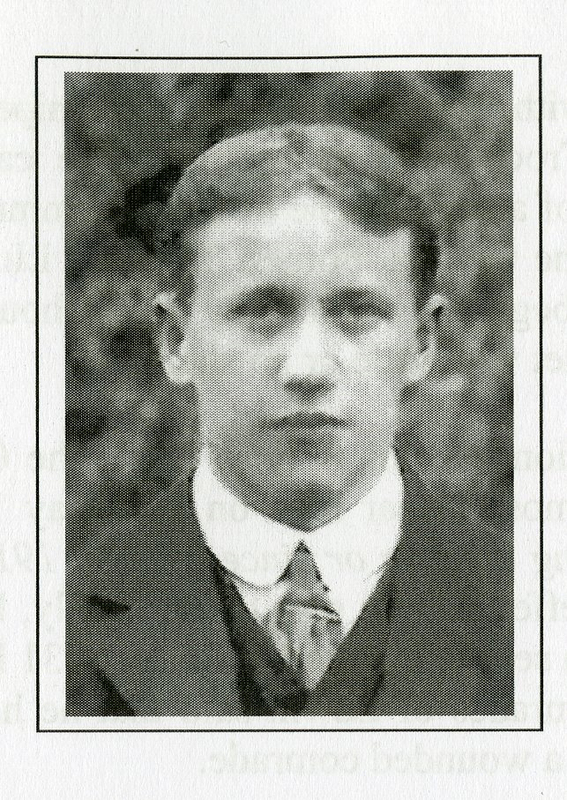 Son of Henry John and M. E. Louise Freeman, of 13A, Holywell St., Oxford. Aged 22. Commemorated on the Doiran Memorial Greece. From October 1915 to the end of November 1918, the British Salonika Force suffered some 2,800 deaths in action, 1,400 from wounds and 4,200 from sickness. The campaign afforded few successes for the Allies, and none of any importance until the last two months. The action of the Commonwealth force was hampered throughout by widespread and unavoidable sickness and by continual diplomatic and personal differences with neutrals or Allies. On one front there was a wide malarial river valley and on the other, difficult mountain ranges, and many of the roads and railways it required had to be specially constructed. W Frederick Hermon, Lance Corporal, Princess Charlotte’s (Royal Berkshire Regt) 5th Bn. Commemorated on the Cambrai Memorial. Horace Stevens, Lance Corporal, Ox & Bucks Light Infantry. Aged 21. The son of Charles & Mary Stevens of 78 Abbey Rd, Oxford. Commemorated on the Pozières Memorial. The Pozières Memorial relates to the period of crisis in March and April 1918 when the Allied Fifth Army was driven back by overwhelming numbers across the former Somme battlefields, and the months that followed before the Advance to Victory, which began on 8 August 1918. The cemetery was begun in 1917 and used until March 1918, mainly by the 21st and 48th Casualty Clearing Stations posted at Ytres, and to a small extent by the Germans, who knew it as “Etricourt Old English Cemetery”. Burials were resumed by Commonwealth troops in September 1918 and the 3rd Canadian and 18th Casualty Clearing Stations buried in it in October and November 1918. With the exception of Edwin Mattingley we do not know what specific jobs were undertaken by these men as ‘servants’ of the College. At the time it employed gardeners, cooks, butlers, maintenance men and it is clear that young men could move between them all. The servitors were regarded as a vital part of the school which funded part of their education.